Does your San Francisco area business require a reliable high-speed internet service provider? Contact a member of our team at 888-650-3030 or by clicking here. When it comes to finding high-speed internet in San Francisco, we know you want the best business broadband internet service available for your company. We are excited to have expanded our services throughout the state of California! From San Francisco to Oakland to Alameda, companies continue to choose One Ring Networks over other internet service providers. Our easy to install fixed wireless broadband as well as our high-performance fiber internet service, offer symmetrical speeds from 10 Mbps to 1Gbps and above. As bandwidth usage has exponentially increased, making scalable broadband mission critical, fiber internet providers in San Francisco have failed to keep up with demand. Our point-to-point fixed wireless broadband, empowers you to meet the rapidly evolving network requirements and user expectations of your company. Our premium San Francisco broadband service is engineered for efficiency, scalability and dependability. We promises maximum performance, agility and value for Northern California businesses. With no legacy phone company infrastructure, cable TV dependency or residential services to distract, we maintain 100% of our resources and attention on delivering the best business broadband service for your needs. Our broadband service delivers 100% Committed Information Rate, ≥99.999% uptime and guaranteed speeds that easily scale to GigE, enabling you to get just the right amount of bandwidth you need today and tomorrow. Unlike other San Francisco internet providers, we have the fastest broadband installations in San Francisco. Typically we have your San Francisco business broadband service up and running in as little as a day. Add to that a responsive customer care team that is specifically trained to meet the needs of business customers like you, and it’s clear why so many businesses prefer our San Francisco broadband service. 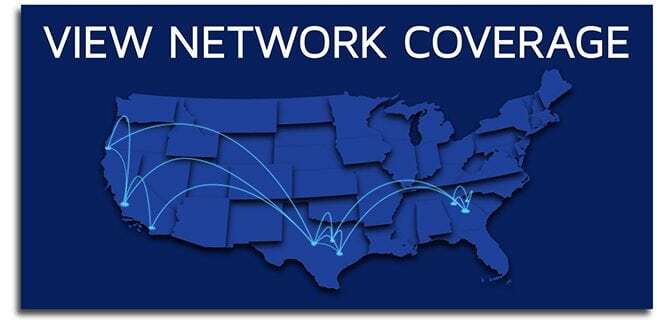 Contact a member of our team to learn more about our business broadband solutions. Check high-speed internet service availability for other areas.